This notion hangs around because it just seems to make sense. If you really want to make a smart investment, everyone knows location is the most important factor. So the worst house in the best neighborhood should be a great deal. You’re buying the best location you can afford, so what if you have to buy a sub-par house? But it turns out, that’s not such great advice. At best, the bottom 10 percent of houses in a ZIP code will appreciate at a similar rate to the other 90 percent of homes, leaving you no better but no worse off than your neighbors. But it turns out that in the most affluent neighborhoods, the worst house is actually likely to appreciate more slowly than the houses around it. In essence, not only is the myth not true, when it comes to the nicest neighborhoods, it’s the exact opposite of true. The worst house in the best neighborhood is the worst investment. Why would that be? Most likely the demand for cheap homes isn’t very strong in affluent neighborhoods. People who want to live in fancy ZIP codes want fancy houses as well. 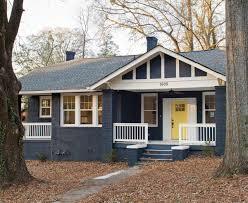 Besides, a house that is substantially cheaper than those around it is less likely to attract bargain hunters than it is to raise concern about what’s wrong with it. How about the worst house in the hottest neighborhood? If you can get into a neighborhood that has seen five consecutive years of higher-than-average home value appreciation, you can get one of the low-end houses, fix it up and turn a tidy profit. But timing is everything. If you miss the spike, you’ll be stuck in an underperforming house. If you buy a bottom-tier home in a neighborhood that was recently hot but now just luke-warm, you’re going to see lower than average appreciation. According to the data, to see the maximum return on your investment, you should buy in the most expensive neighborhood that you can afford to buy a home that isn’t in the bottom 10 percent. It doesn’t have to be the best house or even one right in the middle. But the worst is, well, the worst.